HomeMovie and TV NewsDoddle Digest: Hellboy, Aladdin, Jurassic World 3 and More! We get a slew of brand new news on a bunch of upcoming films like Aladdin, Hellboy, Battlestar Galactica, and Jurassic World 3. 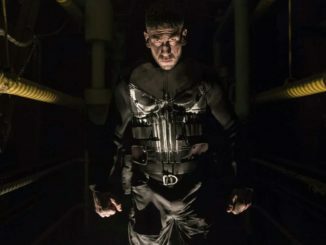 Plus, the cancelled Marvel shows on Netflix may just find new life on Disney+. 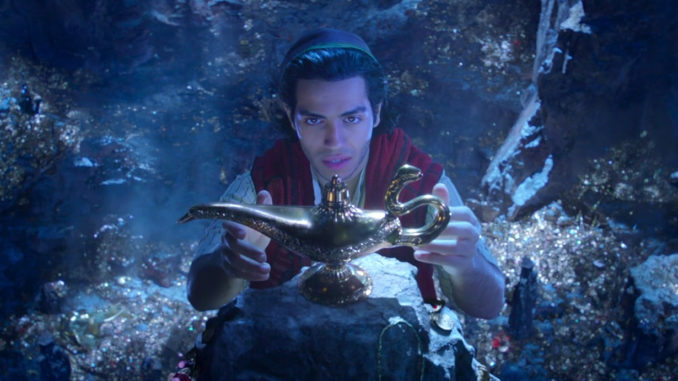 Let’s kick this week’s digest off with new images of Disney’s Aladdin. Having Smith play the character is a stroke of genius if you ask me. He has the right kind of energy but will bring something new and fresh to the role. I really like Harbour’s take on the character. His humor seems drier than Ron Perlman’s take which really, really works in this version. Even though it is definitely to early to tell, it looks like this reboot might give del Toro a run for his money. Speaking of reboots, the long gestating Battlestar Galactica film has just got a new screenwriter to pen the script according to The Wrap. The Girl in the Spider’s Web writer Jay Basu takes over from Westworld co-creator Lisa Joy and is set to be directed by Red Sparrow’s Francis Lawrence. 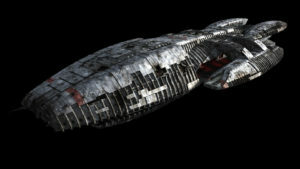 The film won’t have anything to do with Glen A. Larson’s original 1978 series or Ron Moore’s SyFy reimagining so they’re going back to the original premise of a Battlestar looking for the long lost 13th colony of man called Earth after the 12 colonies were destroyed by robot aliens called Cylons. The last time this series was reboot we got Moore’s brilliant take so maybe they can catch lightning in a bottle once again. 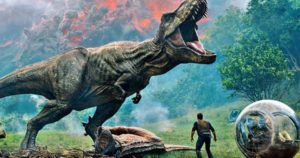 Jurassic World: Fallen Kingdom was– how should I put this– it was stupid. I really liked Jurassic World but Fallen Kingdom made Jurassic Park III look like a masterpiece. Still, it made a lot of money and so Colin Trevorrow will get a chance to finish the trilogy he kicked off. However, one thing we probably won’t see is dinosaurs terrorizing a city like in The Lost World: Jurassic Park. Here’s what Trevorrow told Jurassic Outpost about what we might expect from Jurassic World 3. […]This is the conclusion of a story that began 25 years ago, and I think fans will be fired up when they see how much we’re connecting it to the source material. I know Jurassic World didn’t feel like a sequel in a traditional sense—the title change probably contributed to that—but it was. And so is this. Those are some very big shoes to fill. Not only is he trying to wrap up his trilogy, but the entire series of six films which was kicked off by a film that was such a game changer. It’s ambitious but I guess this is a case of go big or go home. 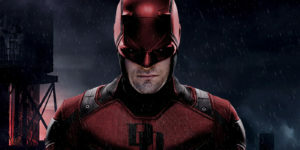 The story of Marvel’s television series on Netflix took a surprising turn when the streaming giant outright cancelled Iron Fist, Luke Cage, and Daredevil in quick succession. 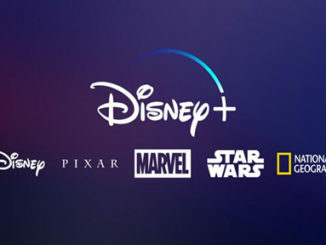 Because Netflix doesn’t release numbers, speculation about the cancellations have run rampant with many thinking that Disney’s upcoming streaming service Disney+ being a big part of the reason. I also think that Netflix’s refocussing on large budget genre films that they can have the full rights to might have something to do with it as well. They are very high-quality shows. We haven’t yet discussed that, but I would say that’s a possibility. 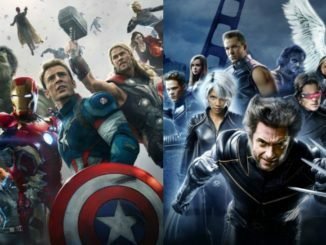 Right now the big obstacle is a clause in the contract Marvel signed with Netflix which states that the characters who appeared in these series cannot appear anywhere else for two years. There is the possibility of the contract being bought out but with upcoming series based on Loki and Scarlet Witch, I don’t think Disney+ is in a rush to buy out those contracts. Even if Disney did bring all three series or something like Heroes for Hire back, I’d expect some major retooling for the tone of these series. Hellboy trailer is terrible. I hope to God Harbour’s makeup looks better in the finished film. It looked like an unfinished, half baked trailer and was a hot mess.